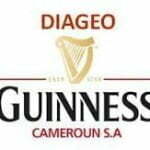 Job offer Diageo – Guinness Cameroon S.A : Finance Director Partner and Emerging Market. Job offer Diageo – Guinness Cameroon S.A : Finance Director Partner and Emerging Market. Partner and Emerging Market is a new business unit within Diageo Africa. It is focused on driving significant business growth and transformation outside our established in market companies. It covers 23 countries (across West and Central Africa) with a total population of over 230M and where our current business includes partnerships with local beer producers (predominantly BGI) and International Premium spirits agents/distributors. This is a highly entrepreneurial business unit, operating across a broad and diverse set of geographies. The environment dynamic and the agenda is exciting and ambitious with a number of strategic choices to be made from portfolio, to production, route to market and partnerships. This is a senior management role which will be the finance business partner for the FGM of the unit, with a strong bias towards commercial and business development. To deliver Diageo’s growth ambitions across Emerging and Developing Markets, establishing new businesses and transforming existing business. Financial support and stewardship of a highly complex, volatile and evolving business unit. An experienced finance leader with a strong track record of commercial delivery, controls and manufacturing. 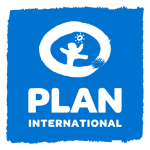 Operated at an executive level in a multi-national organization, ideally with diverse experience from several markets. Has an acute focus on performance and results, highly accountable and determined to win on all fronts. Highly commercial with a deep understanding of the value chain and every aspect of the P&L. Comes with a track record of having delivered through distributors and third party partners. English, bilingual French and Portuguese an advantage. CIMA, ACCA, MBA or equivalent professional qualification preferred. LIRE: Yoomee Cameroon IT Administrator job offer. Last day of application is 19th March 2018. Emploi au Cameroun 2019, concours, Universités, Resultats, Jobs, Stages, Conseils etc, The best Informative website in Cameroon. 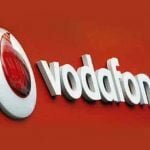 Le meilleur site informatif au Cameroun. Hello..am a young graduate from a professional school studied agricultural sciences..wish to deposite my info here if i can work in ur institutions thanks. please i wish to apply for a job. Concours PWTC of Akonolinga CMTP 2019-2020 ENSTP : Assistant Technicians. Bitcoin comment ça marche Cameroun ? Comment intégrer l’API Mobile Money? j'aime et je souhaiterais m'inscrire.